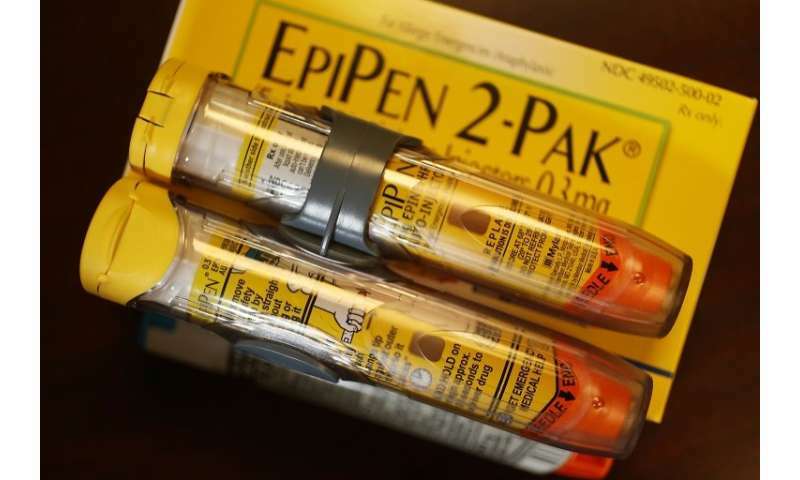 US regulators Thursday approved the first generic alternative for the EpiPen, a life-saving emergency allergy medicine, two years after soaring prices for the original version owned by Mylan stoked controversy. The US Food and Drug Administration granted approval to Israel-based Teva Pharmaceuticals to market its generic epinephrine auto-injector for emergency treatment of allergic reactions. "Today's approval of the first generic version of the most-widely prescribed epinephrine auto-injector in the US is part of our longstanding commitment to advance access to lower cost, safe and effective generic alternatives once patents and other exclusivities no longer prevent approval," said FDA Commissioner Scott Gottlieb. Mylan Pharmaceuticals, which makes the EpiPen, faced an outpouring of criticism after it raised the price of a pack up two to $600 in 2016. The same package cost $100 in 2008. Mylar then introduced its own generic alternative late in 2016 at a cost of $300. Teva did not immediately say how much its product would cost or when it would be available. Its shares rose six percent on the news. The EpiPen is designed to automatically inject a dose of epinephrine into a person's thigh to stop an allergic reaction, whether to bee stings, peanuts or other foods, medications, latex or other causes. Anaphylaxis is "a medical emergency that affects the whole body and, in some cases, leads to death," affecting about one in 50 Americans, the FDA said. People who have suffered from anaphylaxis once face a continual risk of another episode and must carry an emergency dose of epinephrine at all times.